Missouri Star Mini Periwinkle (Wacky Web) Template for 2.5" Charm Packs - Missouri Star Quilt Co. - Missouri Star Quilt Co. This tool is inspired by a gorgeous antique quilt that we purchased from a local quilter. It does involve a bit of simple paper piecing, but when you put four of them together you can make the periwinkle block so easy with no Y seams. 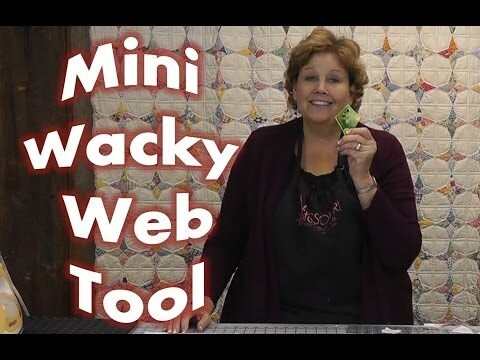 You could also use this tool to make a mini version of the wacky web quilt. It would also work well for pot holders, table runners, or wall hangings! Cute and fun! This acrylic Missouri Star Mini Periwinkle Template measures 3.25" x 2.5".